Personalized menu to boost productivity. Is there a better alternative to PMenu? 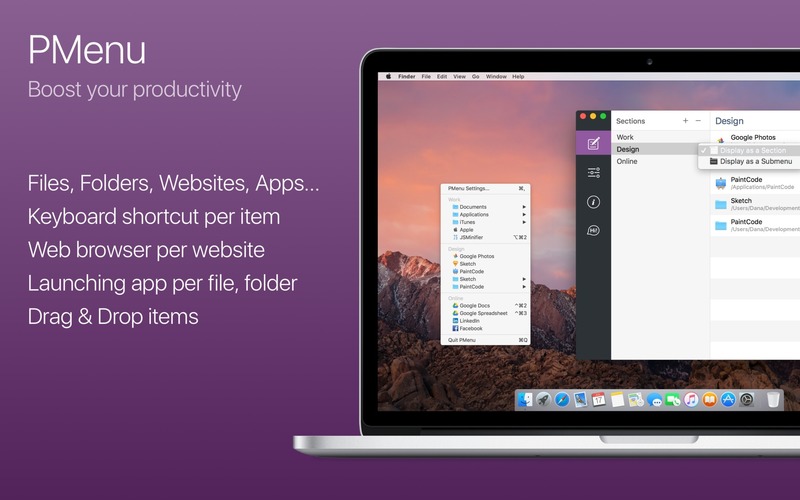 Is PMenu really the best app in Productivity category? Will PMenu work good on macOS 10.13.4? 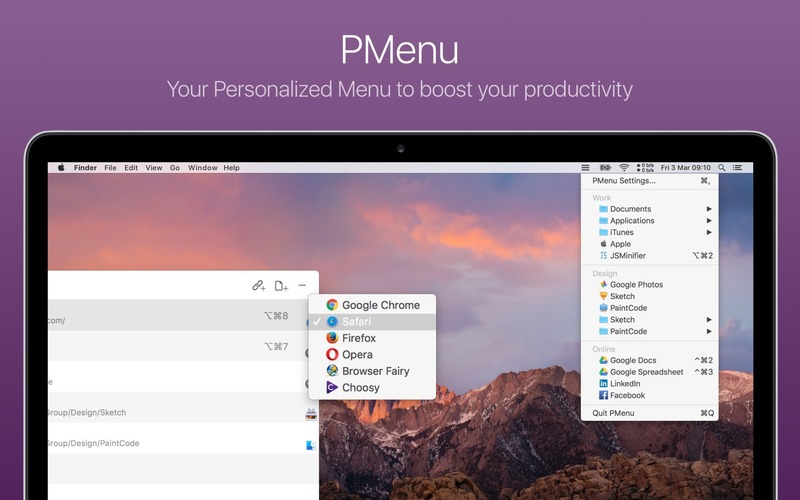 PMenu allows you to create a personalized menu and quickly access your files, websites, folders, apps, and more. [Bug fixed] macOS High Sierra issue with top window buttons. [Bug fixed] macOS High Sierra issue with files sorting.